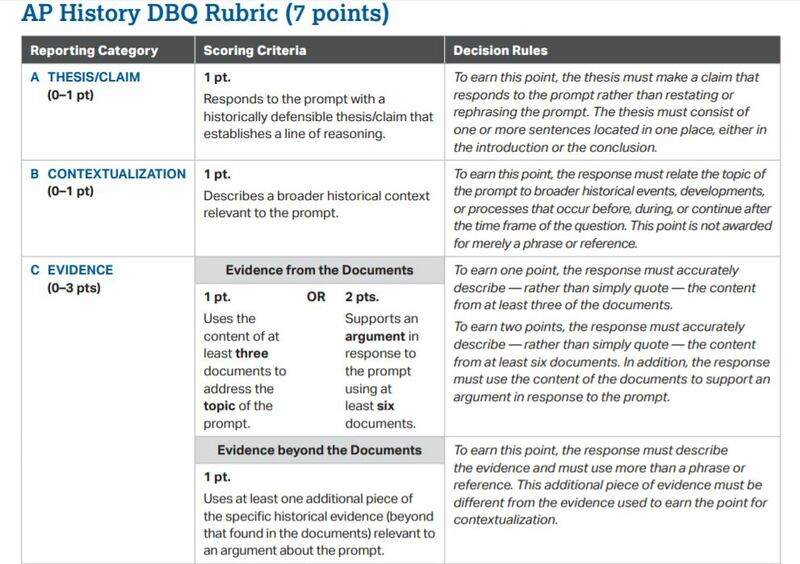 ​The document-based question measures students' ability to analyze and synthesize historical data and to assess verbal, quantitative, or visual materials as historical evidence. Responses to the document-based question will be judged on students' ability to formulate a thesis and support it with relevant evidence. The documents in the document-based question are not confined to a single format, may vary in length, and are chosen to illustrate interactions and complexities within the material. Where suitable, the documents could include maps, charts, graphs, or pictures as well as written materials. In addition to calling upon a broad spectrum of historical skills, the diversity of materials will allow students to assess the value of different sorts of documents.